White Dog Blog: What's NEW! Lots of new things going on here and I really need to sit down and catch up on posts telling you all about it! I'll begin here - there is a new bar across the top of the blog page where you can put your email address and subscribe to get all my new posts here delivered straight to your email box! This way you won't miss any! Treasure, Vinny and I represented double merles at Double Merle Awareness Day on May 20th. 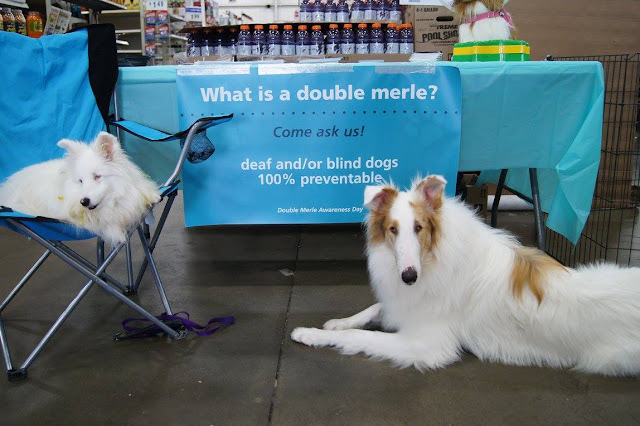 We had a table to greet people and educate about the dangers of breeding merle to merle, as well as about how even blind and deaf dogs can be amazing! We had so many people come to meet the dogs and talk to us! It was a great opportunity to get our message out. 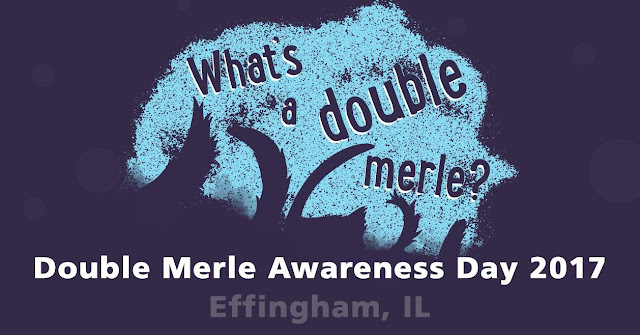 Thanks to Keller's Cause (www.kellerscause.com) for creating Double Merle Awareness Day, and for sending banners and handouts all across the country to make it easy for us to all educate others! Treasure, Vegas, Vinny and I were featured in Effingham Magazine with another opportunity to tell people about how to prevent double merles (just don't breed two merles together!) 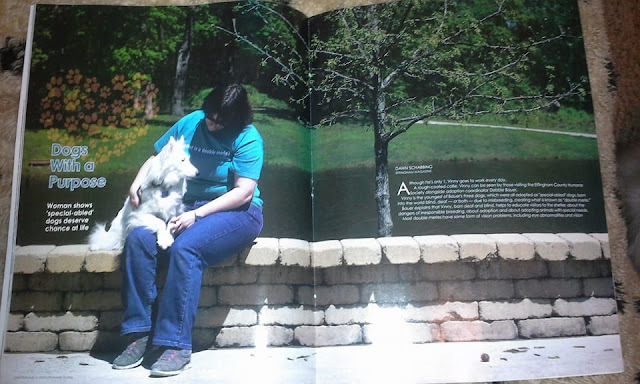 and how to live with and train a dog that may have different abilities (blindness and/or deafness). The reporter and photographer did a wonderful job on the story! Uniquely Paws-Able online school is growing! We are now offering Positive Reinforcement and Clicker Training as a self study class, so anyone is able to take the class at any time that's right for them and their dog! A new class is starting June 10th with the topic of Grooming, Husbandry and Handling Games! This is very exciting, as there are so many dogs that find touch, grooming and veterinary exams to be stressful. Often these situations turn into a struggle for dog and person. This class will show how to use positive reinforcement to create a dog that is willing to cooperate with every day tasks such as giving eye drops, cutting toenails, grooming and more! 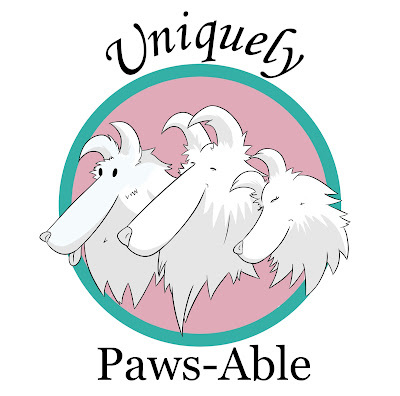 If you haven't signed up at Uniquely Paws-Able, be sure to go check it out. Creating an account will sign you up to receive updates as more classes and resources are added at the site. And, it's very easy from there to look over the courses that are offered and enroll in the classes you'd like to take. Everything is online and we have students from around the world. We'd love to have you join us!